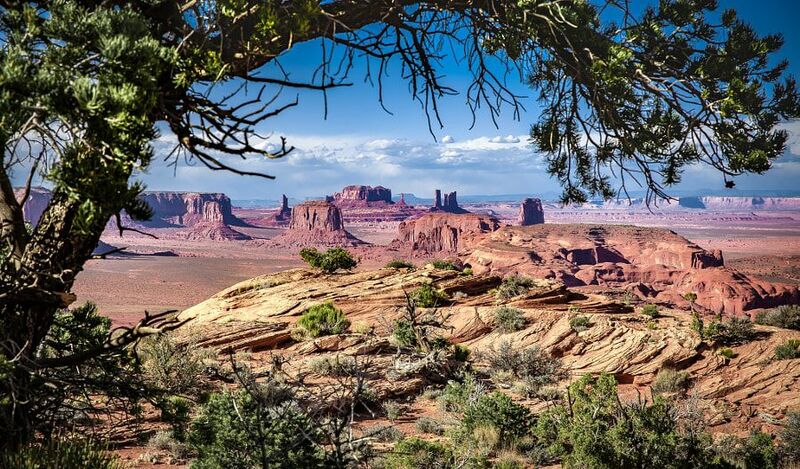 Monument Valley from Hunts Mesa - Together, We Make Memories! Monument Valley Navajo Tribal Park almost single handedly defined the American Western Movie. It is perhaps most famous for its use in many John Ford films, including Stagecoach (1939) and The Searchers (1956). It has also been featured in the film Easy Rider (1969), Robert Zemeckis’ film Forrest Gump, Clint Eastwood’s film Eiger Sanction (1975), and recently the popular United Kingdom television show Doctor Who in the two episodes “The Impossible Astronaut” and “Day of the Moon”. – Wikipedia. This fine art image by Pat Kofahl is available in multiple sizes on paper, canvas, metal and plexiglass. Prices start at $49.00!